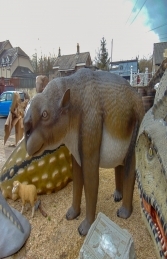 This prehistoric animal is one mega herbivores. This animal was a close relative of todays wombats. Found in the Pleistocene Epoch period it was hunted to extinction. 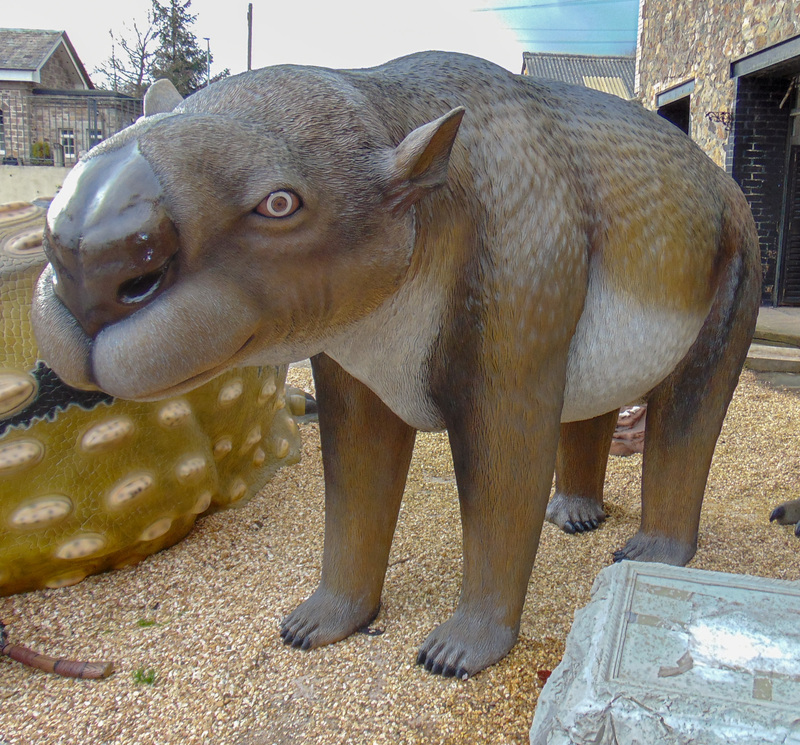 This amazing life-size Diprotodon makes a huge impact and attracts public attention in any themed area. 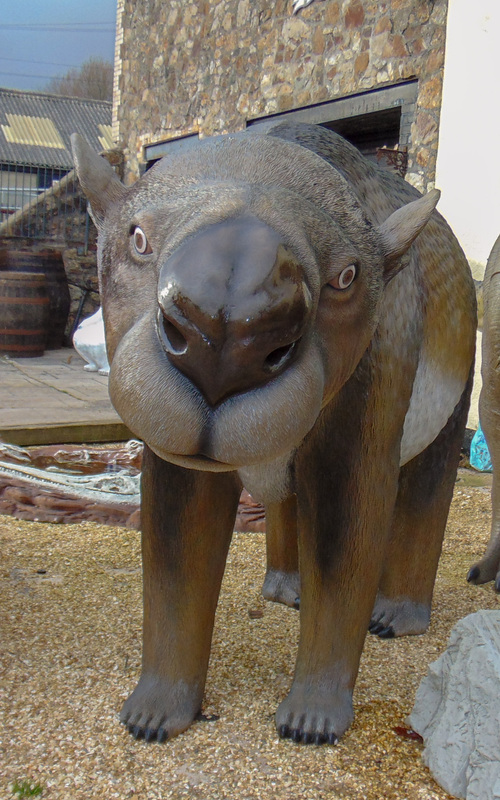 It would be ideal to make the centre-piece of a pre-historic display with a cave man or two. . It can be used in any themed area or in shops, businesses, pubs, restaurants, coffee shops, adventure golf courses, zoos, theme-parks or even in your own home.